Is your Gold Coast garden suffering from plant disease? Nothing is worse than spending endless amounts of money, time and effort beautifying your garden, only to have it wilt away. While not all microorganisms are bad, there are a variety of fungi, bacteria, viruses and nematodes (known as pathogens) that will cause disease. If left untreated, they have the potential to spread through your garden and cause loads of health issues with your plants. Plant diseases are notoriously hard to diagnose. We’ve got a little guide to help you learn more about the varieties your most likely to find in your backyard. Black spot is a fungal disease that loves humidity and is most likely to appear after fertilising. 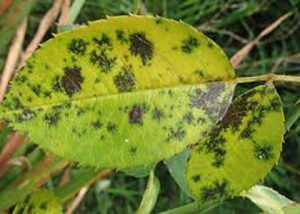 Known for leaving nasty black spots on the upper parts of leaves, black spot will cause your beautiful rose plant to lose leaves and look unhealthy. 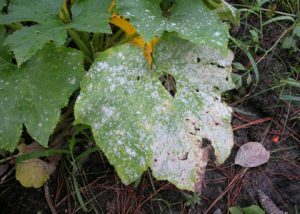 Powdery mildew is one of the most common fungal plant diseases, affecting a wide variety of plants. Symptoms include greyish white powdery spots on the more mature leaves and stem areas. If left untreated, leaves will wilt or die and fruit will ripen too early. Powdery mildew spores can spread via the wind. Most common in waterlogged or dry garden beds, damping off causes seedlings to rot and collapse before they germinate. 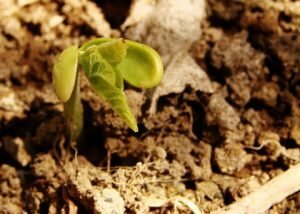 Caused by poor-quality soil, you need to check that conditions are perfect before planting your seedlings to avoid this fungus. 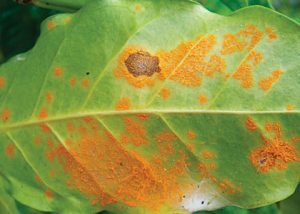 Plant rust will leave an orangey brown powdery substance underneath your leaves (a similar look to the rust you’ll find on oxidised metal). It will cause your plants to lose their vitality and their leaves will become discoloured and fall off prematurely. Rust spores can spread through wind and water. Sooty mould is a black charcoal-looking fungus that’s brought about by pest activity. Sap-sucking pests will feed on your plant and leave behind a substance called honeydew, which sooty mould loves to feed on. It’s not actually bad for your plant, but it’s an indication of a garden pest infestation. Root rot most commonly affects overwatered plants or plants with poor drainage. Too much water means your plant doesn’t get enough air and begins to decay. 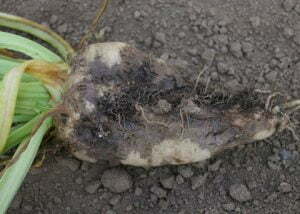 Root rot is often deadly and its spores can spread very easily. 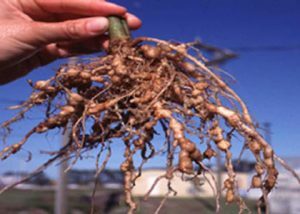 The root knot nematode will burrow into your plant’s root system and feed. They promote the development of unsightly lumps on your roots, as well as stunted growth and increased wilting in the warmer weather. The Gold Coast is known for its beautiful subtropical climate and picturesque beaches, but these perfect living conditions can have an adverse effect on your garden. Check out these climatic plant conditions that are often mistaken for plant diseases. 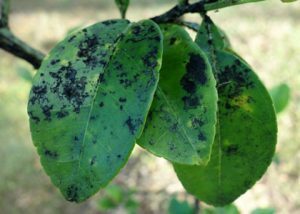 Not only can the humid conditions promote the breeding of pathogens, but higher temperatures may also wreak havoc on your plants. Heat stress can cause your plants to lose vigour, as well as become discoloured and blister. Always make sure you pick the right plant species to match warmer conditions and water religiously. Living near the beach, your garden is more susceptible to salt damage from offshore winds. Salt from ocean spray can build up over time on your leaves, stems, roots and soil, eventually becoming toxic. Salt burn from excessive levels of salt will weaken your plant and cause similar symptoms to that of a drought. Coastal living and strong breezes go hand in hand. While this breeze may be a refreshing break from the summer heat, it take can take a toll on your garden’s health. Silvery discolouration and withered-looking leaves are often an indication of wind burn. Prevention is the best form of attack when it comes to disease control. Be sure to pick the right plants for the warm, humid Gold Coast climate. If your plant species of choice doesn’t enjoy the warmer humid conditions, try planting them in a shadier area. Picking plants that aren’t suited to your conditions will cause all types of drainage and ventilation issues, as well as promoting a range of plant diseases. Poor soil is a catalyst for all kinds of plant bacteria, fungi, viruses and nematodes. Be sure to invest in high-quality soil and maintain it with plenty of organic matter and mulch. Avoid using nitrogen-rich fertiliser in summer as new growth will be vulnerable to fungi during more humid times of the year. For the untrained eye, plant disease detection can be almost impossible. Let the trained experts at Focal Point Landscape Maintenance diagnose and treat your garden today! Contact our friendly team for any pest, disease or garden maintenance jobs and we’ll be happy to provide a free quote.